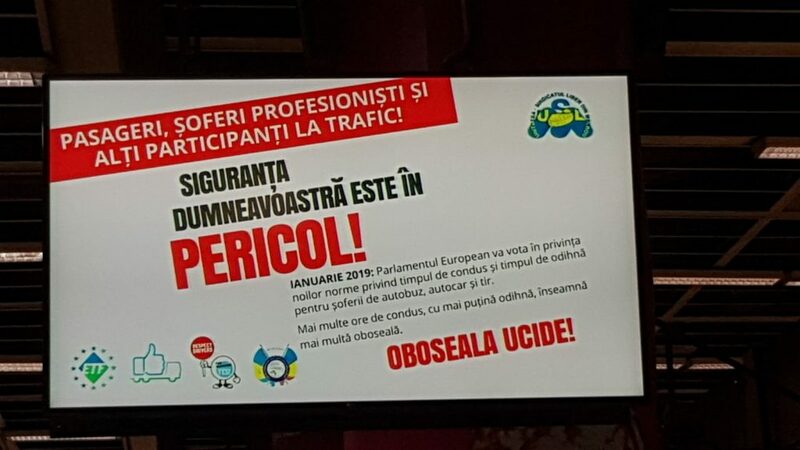 ATU, a Romanian ETF affiliate, is making sure that travellers in Bucharest know what is happening in Brussels this week. 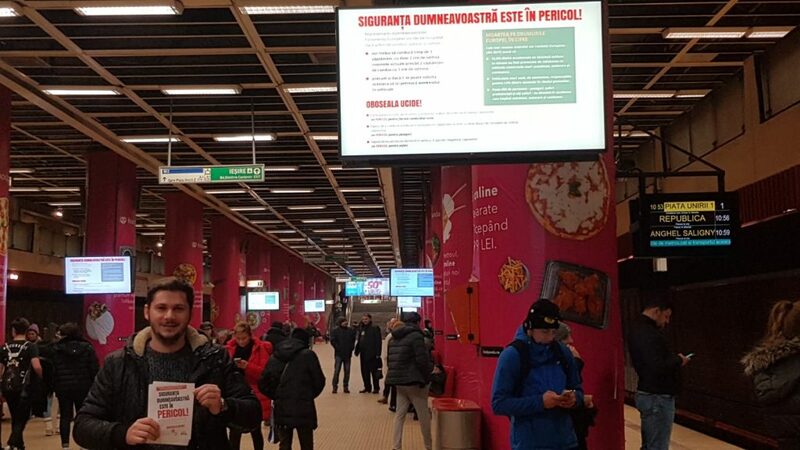 They are distributing leaflets to passengers using the public transport – metro, tram, bus – and the messages will be displayed on monitors in all stations of the Bucharest metro system. Thanks to this massive mobilisation and outreach, around 700 000 people will see our message and learn about MEPs’ crucial decision this week.